If you’re a gun enthusiast looking for a red dot riflescope for your weapon, you’ll likely find that there are numerous options available. One of the products you’re likely to come across is the Bushnell TRS-25. 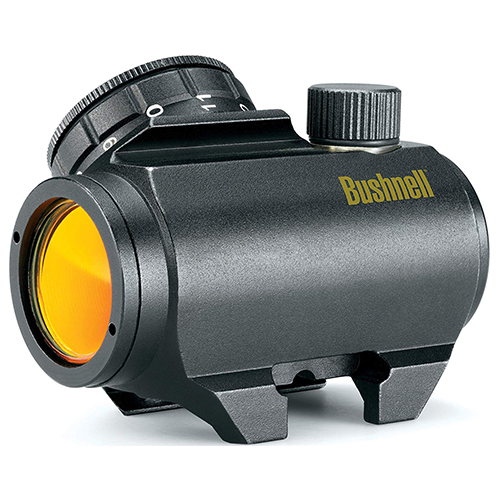 Bushnell is a trusted name when it comes to weapons optics. But could this product be right for you? 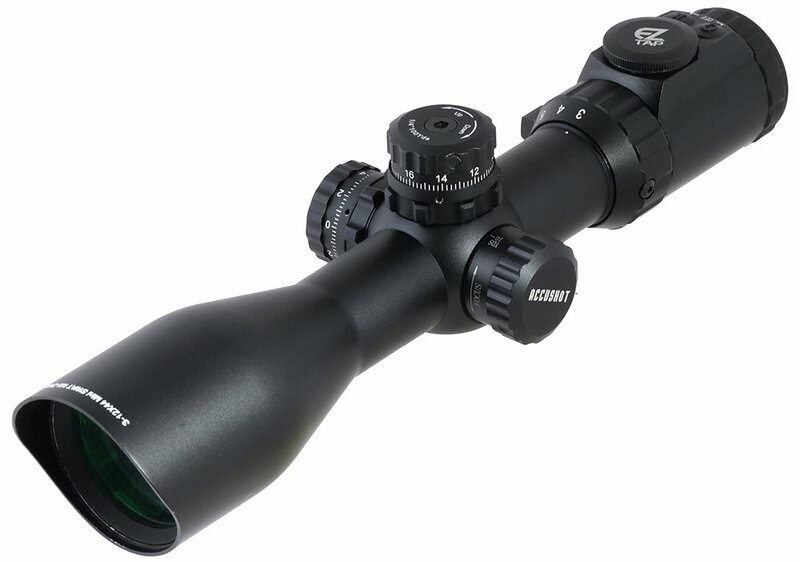 Find out more by reading our Bushnell TRS-25 review below. What is the Bushnell TRS-25 and How Does It Work? What Makes the Bushnell TRS-25 Unique? The Bushnell TRS-25 is an optics device that could potentially lock in on your next shot and improve the accuracy of your rifle. 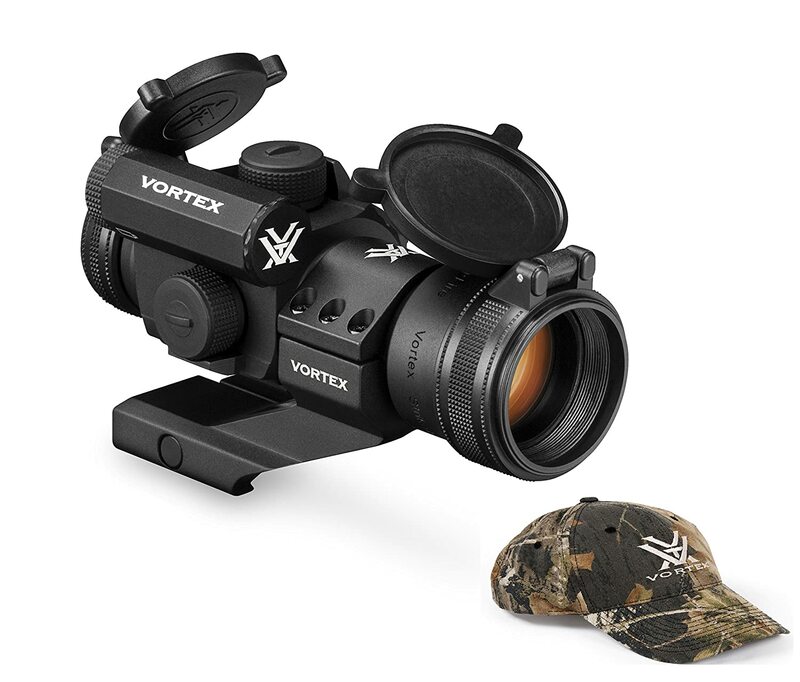 The product features a 1 x 25 MM configuration and a 3 MOA Dot reticle. 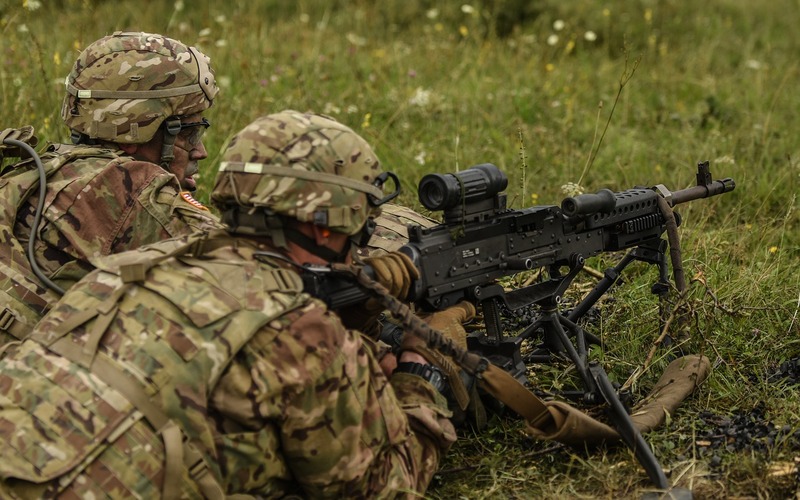 The reticle is red, which is why the product classifies as a “red dot sight.” When looking through the optics device, a red dot will appear in the middle of the lens after you turn the device on. Although the red dot may seem as though it carries on forever, this is not the case. The red dot in the Bushnell TRS-25 does not project outwardly. It’s only visible to the user looking through the scope. Using this product could help produce a more accurate shot, allowing shooters to lock in and secure their target before firing their shot. The product is lightweight, weight about four ounces. It is approximately 2.5” long. Even though it features a tubular design, Bushnell states that the product allows for unlimited eye relief. This means that you can mount the scope as far forward on your firearm as you’d like. This also means that you’ll be able to move quickly from one target to another, making the weapon ideal for tactical situations. The exit pupil of the device is one inch, and the click value is one MOA. Additionally, the adjustment range is 70+ MOA. The scope features 40 MOA per rev. MOA, otherwise known as a minute of angle, represents an angular measurement. One MOA is equal to 1/60th of a degree. The device features a Weaver mount system, making it easy to attach to your rifle. First and foremost, one of the things that we liked most about this product was the Bushnell brand. Bushnell has long been a leader in the outdoorsman industry, first making binoculars in 1948. 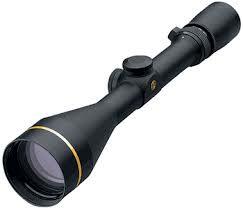 Since them, Bushnell expanded to begin making rifle scopes, spotting scopes, and outer outdoor equipment. The brand is one that you can trust, immediately lending credibility to this product. The device’s O-ring is sealed so that the inner components of the unit stay dry. The product is waterproof even when submerged fully, meaning it will surely withstand rain, sweat, and other elements. The product also features the latest in shockproof construction. Bushnell designed the product very well and reduced its vulnerability of breaking when dropped. As the company describes, this means that the product can withstand the “rough and tumble” environment of the field. Finally, the device features a nitrogen-purged fog-proofing system. Before sealing the scope, Bushnell inserts nitrogen. Doing so prevents lens fogging from rapid temperature changes or humidity, ensuring you’ll have a clear, visible shot no matter the conditions. The Bushnell TRS-25 also features an extended battery life. When shooting, it’s annoying to have to carry backup batteries for your scope out of fear that your device will lose power at any time. Knowing that your optics device comes with extended battery life could give many gun enthusiasts peace of mind, as they won’t have to worry about their equipment failing them in a critical situation. One of the things that the device does not feature, however, is rain guard. Some optics devices come with a rain guard that prevent streaking on the lens. Although the Bushnell TRS-25 is waterproof, this merely means that the unit will not become waterlogged when exposed to high volumes of water. If you try to use this device in the rain, droplets will appear on your lens. For many, this is not a problem. When conducting our Bushnell TR-25 review, we discovered that the price of the product varied significantly. 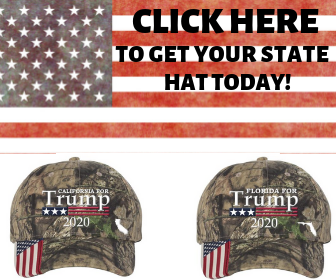 Bushnell’s website lists the product at a little more than $. It’s worth noting that this is the most up-to-date version of the product. If you prefer not to purchase the product through Bushnell, you can look to acquire it from one of their numerous retail partners. One of Bushnell’s partners is Amazon. When buying on Amazon, you can purchase the product for about $. So, the ultimate conclusion that we can draw from this is that the price of the product varies significantly based on the version you wish to purchase. We recommend browsing online to secure the best deal on the device. This is particularly important if this is one of the first red dot sights you are purchasing. Red dot sights are incredibly beneficial for beginners. If you fall into this category, you don’t need to break the bank to buy a red dot sight. 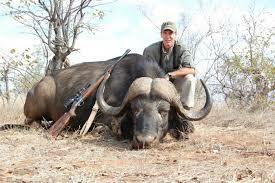 Instead, perhaps look for an older version of the equipment to use with your firearm for the first time. Once you know you like the product, you can purchase an updated model. When browsing online reviews from other customers, we found that many were very impressed with the product. For example, multiple users on Amazon said that this was the best red dot sight they had ever purchased for this price. Many noted that the device featured a sturdy design and that it was easy to mount to their firearm. The product has a four-star rating on Amazon with more than 3,600 customer reviews. Furthermore, when looking at other websites online, we found that the Bushnell TRS-25 was rated favorably there as well. One of the things that stood out to most users was the fact that they could use this with a variety of weapons, from a bolt-action hunting rifle to a pistol. Users indicated that the sight was easy to operate. They said that the brightness dial was easy to work and appreciated the fact that a tactical click accompanied each turn of the dial. They also remarked that the sight was incredibly bright. Some were worried that the sight’s glass would carry a blue tint, but this turned out not to be the case. The one problem that we did across when reviewing this product was that the brightness setting could be particularly sensitive. If the illumination setting is too high for ambient light conditions, the red dot will appear distorted. Customers remarked that the dot was precise when used at low brightness settings. Others noted that with time, they eventually became comfortable adjusting the brightness. The other minor complaint that others mentioned was the fact that they needed a riser when attaching the sight to their weapon. This was a minor inconvenience, as a riser should not cost more than a few dollars. 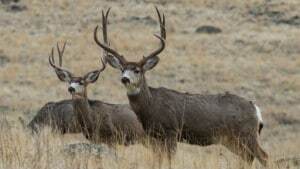 But, it may be worth purchasing the riser when you buy the Bushnell TRS-25. Otherwise, the sight may sit too low on your weapon, and you may not be able to use the sight out of the box. 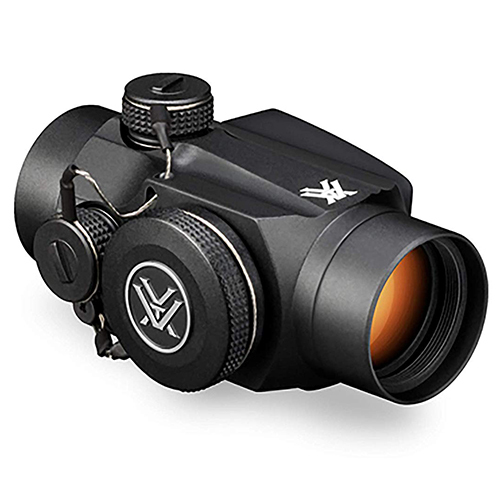 When it comes to the Bushnell TRS-25, the most similar products are the Aimpoint PRO Patrol Rifle Optic and the Vortex Optics Sparc Red Dot Scope. 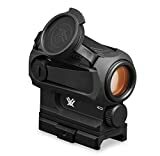 The Aimpoint product has a 4.8-star rating on Amazon with more than 500 customer reviews, while the Vortex Optics product has a 4.5-star rating with more than 430 customer reviews. The Aimpoint is a sophisticated tool for experienced marksman. 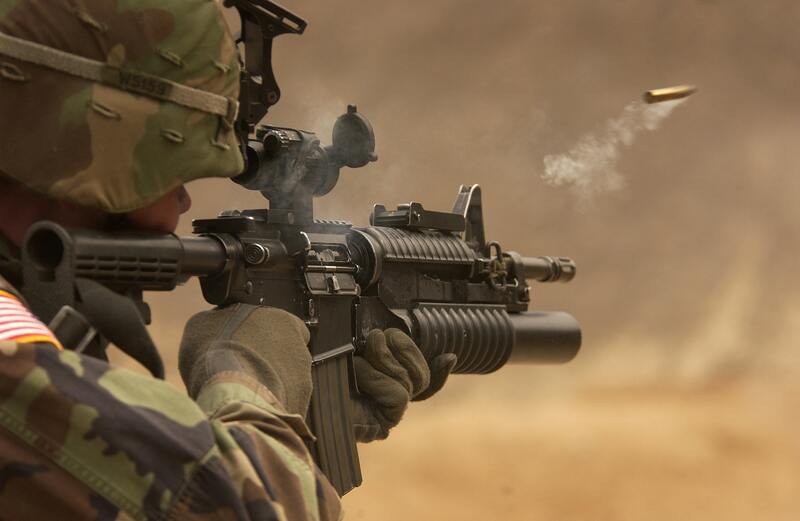 It provides users with two minutes of an angled red dot, allowing for accurate target engagements at all distances. Users found that the viewing window for this sight was clear. They also appreciated the fact that the battery life on this product was incredibly durable, as a single battery lasts up for three years. 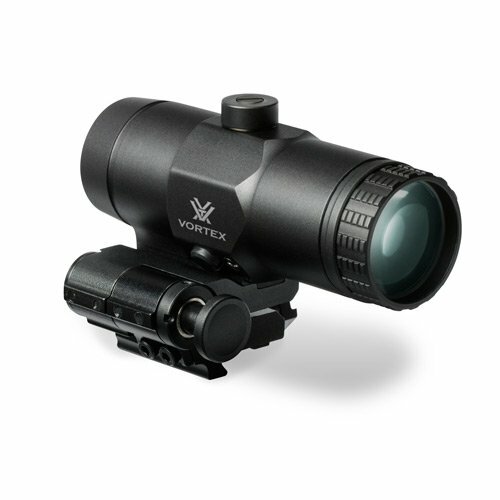 Manufacturers designed the Vortex Optics sight explicitly for use in the daylight, where its display is highly visible. The sight features air-to-glass surfaces that help increase the transmission of sunlight. The equipment also features multiple anti-reflective coatings and air-to-glass surfaces. Flip caps protect the optics covers on this device. If you’re a marksman looking for a particular feature, you may find that one of these two products are more worth your while than the Bushnell TRS-25. However, what you won’t discover to be more worth your while is the price tag of these two products. 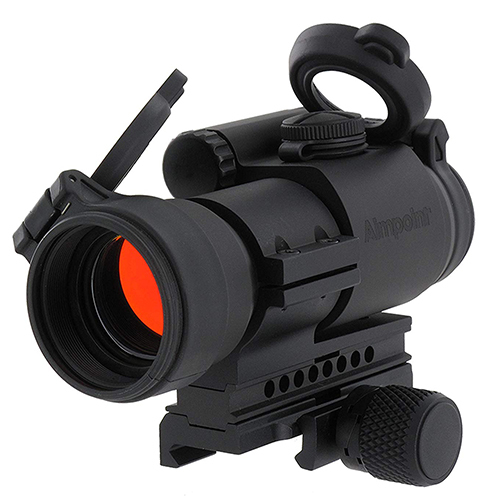 The Aimpoint product costs more than $$$ on Amazon, while the Vortex Optics sight costs $$. 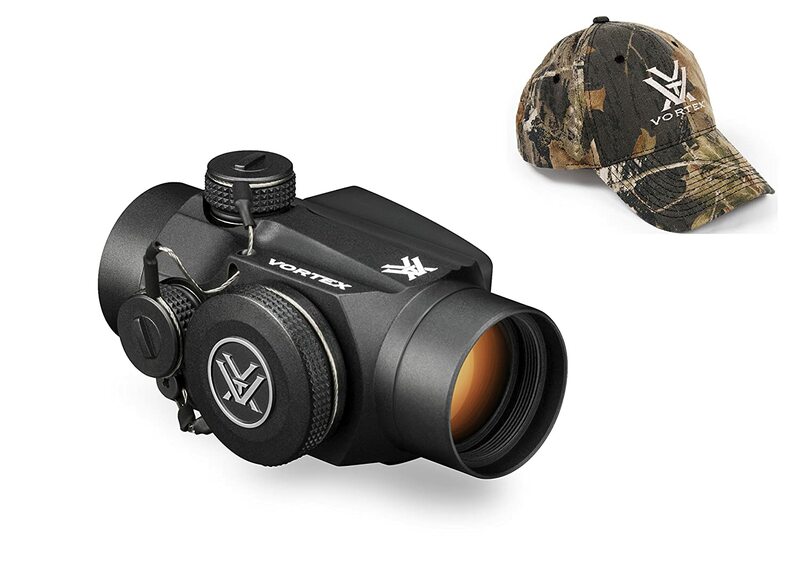 Both of these prices are considerably more expensive than the cost of the Bushnell TRS-25, which you can find for less than $. When it comes to tubular red dot sights, the Bushnell is comparable to more expensive models, for a mere fraction of the price. Gun enthusiasts should consider the Bushnell TRS-25 as a viable alternative to top-line red dot sights. If you’re a beginner marksman looking for a versatile red dot sight to add to your arsenal, we believe that you can’t go wrong with the Bushnell TRS-25. Those without much experience using a red dot sight will find this to be an excellent introductory product that they can end up using for years. That’s not only because of how durable the product is, but how well it performs as well. The Bushnell TRES-25 is comparable to top-of-the-line red dot sights, for a fraction of the cost. Users will likely be impressed with its slim design and the fact that it offers unlimited eye relief. You’ll probably find that it’s easy to move from target to target downrange without having to take significant time to refocus through the sight. 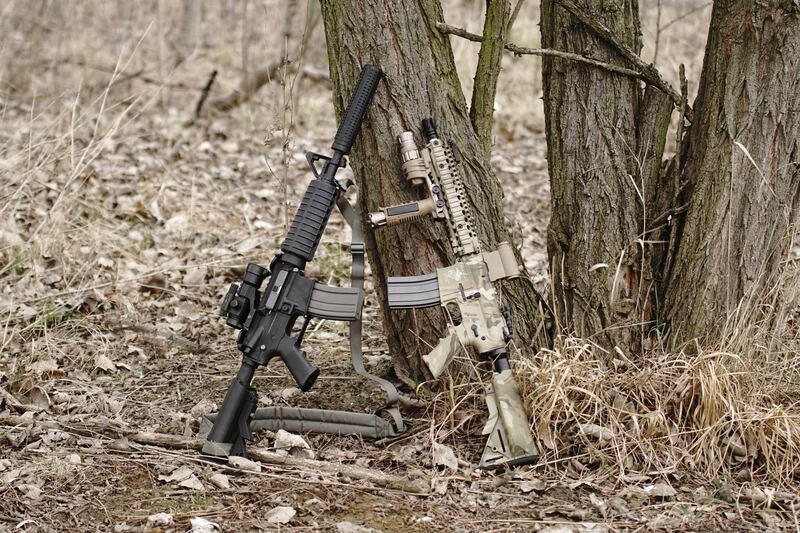 Because of this, the sight could also be beneficial for home defense situations. We also appreciated the fact did not offer magnification. Too often, beginners rely on magnification when learning to shoot. 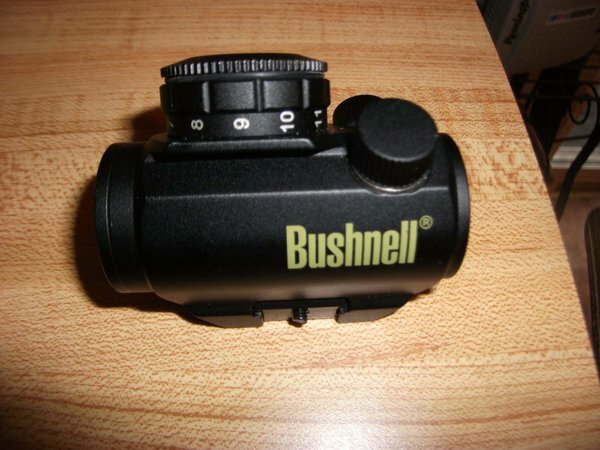 The Bushnell is simplistic and does not provide magnification. 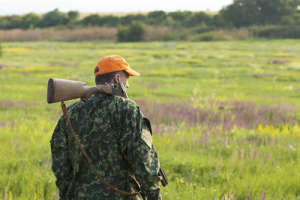 Although experienced marksman may be searching for a sight that offers these capabilities, beginners should focus on learning proper aiming techniques. Again, the Bushnell is an excellent option to do so. Another standout feature of the Bushnell TRS-25 is the fact that users could transport it from one weapon to another quickly. This versatility stands out. If you were to take a day at the range, you need to purchase just one Bushnell red dot sight for all of your different weapons. Again, for beginners, this could prove to be the perfect option. Another aspect of versatility that stood out to us was the fact that this red dot sight came with 11 different brightness settings. Although it took some time to get used to, we found that we were eventually able to see the ideal settings, no matter what situation we found ourselves. We really can’t say it enough – the simplicity and versatility of this product help set it apart from others. Lastly, we were remarkably impressed with this product’s design. It is slim and does not add to the bulkiness of a rifle. We also liked the fact that it was shockproof, waterproof, and fog proof. We wish that the product came with rain guard as well, but this was a minor deficiency that we’re willing to overlook. 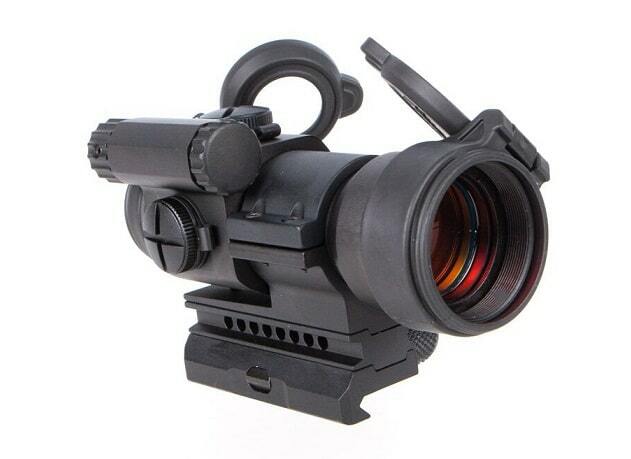 In summary, this is a high-quality and affordable red dot sight. Although experienced marksman would likely be able to use the product, it's arguably best suited for beginners. Regardless, we’re confident that those utilizing the optics equipment will be satisfied with the results. Trust in the Bushnell name and pick up their TRS-25 today. 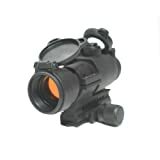 Bushnell TRS-25 Red Dot Scope is a high-quality and affordable red dot sight. 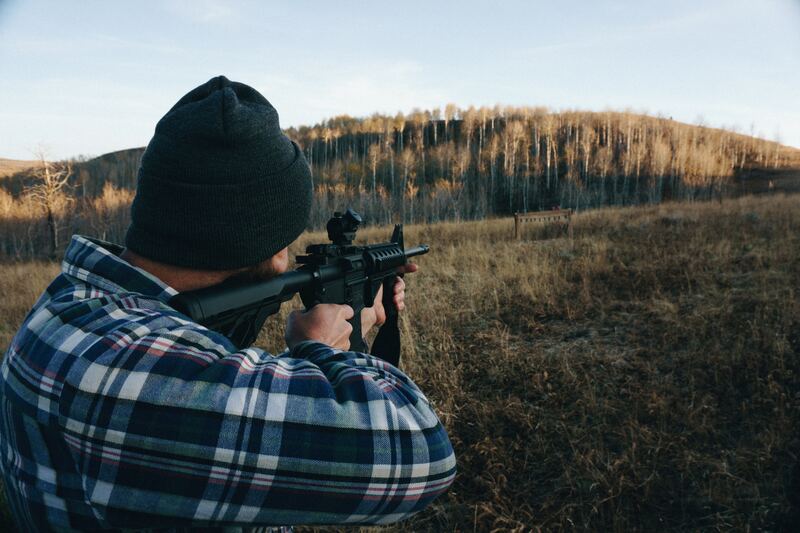 Although experienced marksman would likely be able to use the product, it's arguably best suited for beginners. Regardless, we’re confident that those utilizing the optics equipment will be satisfied with the results. Trust in the Bushnell name and pick up their TRS-25 today.